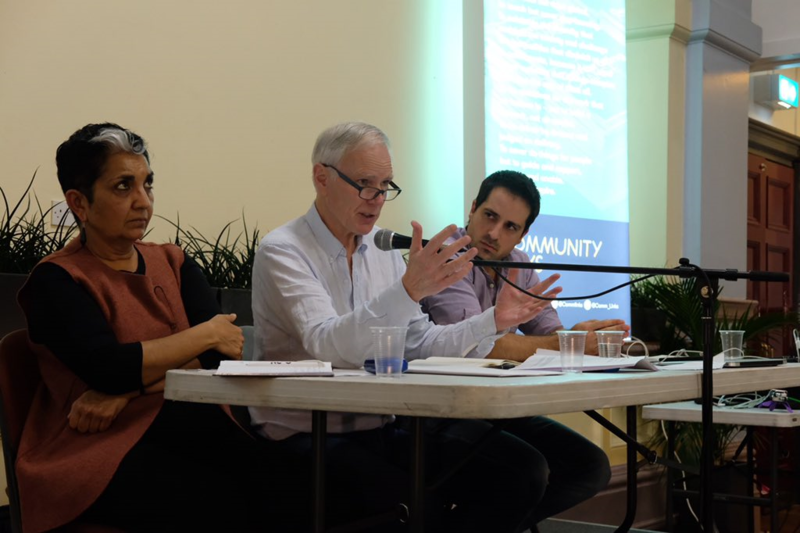 During a visit to London on the 16th of November, Professor Philip Alston, the United Nations Special Rapporteur, issued a statement on extreme poverty and human rights in the UK. It came after a tour of the country discussing the issues with both the public and politicians, including to Cardiff, where Carol Wardman (Bishops’ Adviser on Church and Society for the Church in Wales) was in attendance on behalf of the churches. He criticised Government policies (particularly austerity) for plunging increasing numbers of citizens into poverty, referring to it as a “disgrace”, a “social calamity” and an “economic disaster”. He also praised the voluntary sector, including faith organisations, for stepping in to aid the community where often Government services have failed. Despite having the fifth largest economy in the world, the UK currently has 14 million people living in poverty. 4 million of these are over 50% below the poverty line, and 1.5 million are unable to afford even basic essentials, not to mention almost 1 in 2 children are poor. Policies such as Universal Credit and benefit sanctions, designed to focus on encouraging people to work as the way out of poverty have seen the reverse effect, affecting the most vulnerable in society the hardest, particularly women, ethnic minorities, or households where someone has a disability. This was framed in light of Brexit, where general uncertainty is permeating every area of Britain, from finance to the rights of EU nationals living here. Citing reports from institutions like the Joseph Rowntree Foundation, he highlighted that negative economic effects could further strain support systems and affect those who need it the most. To prevent a further crisis, he advises steps to mitigate these social issues to reintroduce “compassion” and “mutual concern” to Government policy. These included measures such as adequately supporting local services ravaged by cuts under the austerity policy introduced in 2010, as well as limiting sanctions on benefits claimants. Unless steps are taken soon, the situation is set to only worsen. On the 8th of November, Gethin Rhys and George Watkins attended a conference entitled ‘Reporting on Poverty’ on behalf of Cytûn. 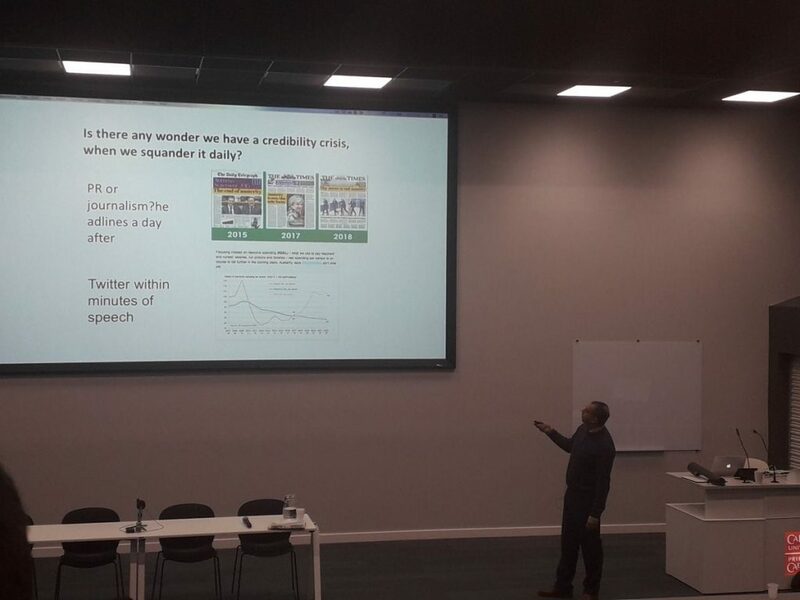 The event was hosted by the National Union of Journalists in conjunction with Oxfam at Cardiff University’s city centre School of Journalism campus, and was attended by a wide range of people, ranging from other church figures to local journalists and students. 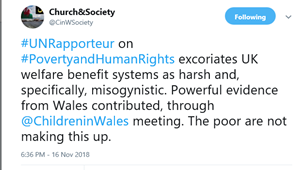 The event was framed around the release of a report by Cardiff University, commissioned by a coalition of third sector organisations including Cytûn member the Church in Wales. Called Exploring the Narrative, it explores the presentation of poverty in the Welsh news media. It included findings such as that only a third of coverage that included poverty focused on it as the main story, often sidelining it as a background subject. The keynote speaker was the well-respected chief leader writer for The Guardian, Randeep Ramesh (pictured), who offered a compelling talk about the state of play for the media, highlighting what more could be done by outlets (including The Guardian) to paint a fairer picture of poverty, as well as what more journalists could do as individuals. There was an emphasis on personal experience throughout, despite the media focus of the conference. Deanndra, a young woman from Swansea featured recently on ITV Wales in a feature about poverty, gave a powerful speech about her difficult upbringing. The report was showed to those in attendance, and then Eurgain Haf from Save the Children in Wales offered a similar story of a family she had been involved in reporting on for local news. The resilience and humanity of those involved with each story shone through prominently, and this section received an overwhelmingly positive response. After a networking lunch, a Q&A panel including the editor of WalesOnline, a news anchor for ITV and a BBC correspondent discussed numerous issues surrounding poverty, with great engagement from the audience. Overall, the event was considered a huge success by those in attendance, and the hosts praised for both their work and the running of the day. Calling all young people aged 14 to 25 who are passionate about emotional wellbeing and mental health! Do you want to help Welsh Government to design a whole school approach to emotional wellbeing and mental health? Do you want to have a say in what the best approach should be to make sure support provided in schools actually works for children and young people? If the answer is yes, then please apply to be a part of our Youth Board. Download the information here and the application form here. Closing date: 10th January 2019. On Tuesday December 11 the House of Commons will vote on the Agreement on the Withdrawal of the United Kingdom from the European Union, and also a Political Declaration published alongside it regarding the kind of future relationship between them which will be negotiated. The Political Agreement would have no legal force – a further legal treaty would be negotiated after the UK leaves the EU on 29 March 2019. There follows an assessment by Cytûn’s Policy Officer, Gethin Rhys, of these two documents, and the likely consequences of withdrawal without an agreement, with particular reference to those matters which have been key to the work of Cytûn’s Wales and Europe Working Party, supported by all Cytûn’s member churches. The rights of EU citizens in the UK and UK citizens in the EU (Part 2 of the Agreement): Detailed provisionsare introduced for the rights of those living outside the country of their citizenship under EU arrangements. This is something Cytûn has been asking for since the referendum, and for many such people implementing this agreement would secure their position. However, the Agreement, and the new Immigration Rules introduced by the UK Government in August 2018, limits that certainty to those who have been “exercising [EU] Treaty rights” while living in another country. Not all are in this situation – “freedom of movement” within the EU is not as unrestricted as is sometimes supposed. One group greatly affected by this is unpaid carers. The Joint Council for the Welfare of Immigrants have published details of the remaining problems, and we would hope to see an early resolution. If the Agreement is not ratified and the UK leaves the EU without an agreement, there will be no legal certainty for any UK citizens in the EU or EU citizens in the UK. The UK Government has said that they will continue to operate the Settled Status scheme, but it is not known if there would be changes to the conditions; and the scheme would be entirely under the control of the UK. No announcements have been made regarding UK citizens living in EU countries in such circumstances. Transitional arrangements (Part 3 of the Agreement). These detailedarrangements aim to prevent legal chaos during departure. They include, for example, continuing to recognise protected geographical indicators (such as Welsh Lamb) within the EU until alternative arrangements can be made, something which Cytûn has been asking for. If the Agreement is not ratified then there will be no such certainty for transactions already in progress as the UK leaves the EU. Transition/Implementation Period (Part 4 of the Agreement). This ensures a transition period between 30 March 2019 and 31 December 2020, when EU law will continue to operate in the UK, giving time for the negotiation of alternative future arrangements. Article 132(2) provides that the transition period can be extended to ‘December 31 20xx’ by mutual agreement. This would require a further UK financial contribution, but the UK would not be able to participate in European programmes (such as regional funding) or the Common Agricultural Policy during this extension. If the Agreement is not ratified then there will be no transition period and the UK Government will be responsible for all matters after 29 March 2019. There is no certainty that any new future relationship could then be negotiated. Financial settlement (Part 5 of the Agreement). This sets out details of how the UK will pay the financial obligations remaining from its period of EU membership (such as staff pensions etc.) and for the transition period. This would enable the UK to continue to participate in programmes such as the European Development Fund (which has, for example, match-funded Christian Aid appeals) (Article 152). If the Agreement is not ratified the UK’s participation in these funds would cease. As the Attorney General, Geoffrey Cox MP, indicated in the House of commons on December 3, the UK would probably still be liable for some payments, and there might be a negative effect on the UK’s ability to negotiate other international agreements if it were perceived not to have honoured the EU Treaties. Administrative arrangements (Part 6 of the Agreement). Implementation will beoverseen by a Joint Committee (Article 164) and sub-committees, with an Arbitration Panel to solve disputes. The European Court of Justice will offer decisions on any EU law matters, but the Panel will decide how to implement any such judgement in the UK. If the Agreement is not ratified there will be no formal joint arrangements. Protocol on Northern Ireland. The Protocol makes arrangements to ensure continued cross-border integration in Ireland and human rights in Northern Ireland after the transition period – unless alternative arrangements to achieve the same ends are agreed before then. The Protocol includes detailed arrangements for goods etc from Northern Ireland, which will be freely tradeable within the EU and the UK. This entails treating the UK and EU as a single customs territory, and the UK will need to be aligned with some (but not all) EU single market standards. Mae Annex 4 includes guarantees on not reducing environmental standards and maintaining justice in environmental matters (2.1 and 2.2), labour and social standards (4 and 5) and a number of other matters about which Cytûn has been asking for assurance. These arrangements will affect the whole UK while the Protocol is in operation. There are specific arrangements to align Northern Ireland alone with some additional regulations. If the Agreement is not ratified there will be no legal guarantees on these matters. The Political Declaration outlines those areas in which it is intended to negotiate a new relationship between the UK and the EU. The aim is to complete these negotiations during the transition period so that the new relationship can commence on 1st January 2021, but as noted above the transition period could be extended if necessary. We welcome the declaration that the UK will remain bound by the European Convention on Human Rights (para 7), while regretting that the EU Charter of Fundamental Rights will no longer be operational in the UK. Para 11 refers to the UK continuing to participate in some European programmes, but with no further detail. Mae Cytûn has been asking for continued participation in educational programmes such as Erasmus and Horizon. Para 12 refers more specifically to the UK remaining involved in some European research projects. We are pleased to see specific commitment not only to the Good Friday Agreement (para 139) but also to funding Peace Plus programmes in Ireland (para 13). Greater detail – no doubt reflecting greater agreement – is given regarding co-operation on justice, security and defence matters. Para 98 suggests that the UK and EU could continue to co-operate regarding consular representation in other countries, which would be of considerable advantage to those travelling overseas. Para 18 recognises “sustainable development” as “an overarching objective”, but without definition. We welcome, therefore, the commitments in para 93 to the United Nations Sustainable Development Goals and in paras 108-9 regarding co-operation in international development, matters of which the churches have been strongly supportive. If the Withdrawal Agreement is not ratified, then the Political Declaration will have no standing either, as the two are seen as a single package. As is well known, the political climate means that foreseeing developments is very difficult. However, at the time of going to press, the Parliamentary and legal timetable is as follows. On Dec. 4,5,6, 10 & 11 the House of Commons will debate, with votes on Dec. 11 on up to 6 amendments to the Government motion (the Agreement itself cannot be amended). If the amendments fail, the Agreement and Declaration will be voted on in a single vote. If the Agreement is accepted, then the European Union (Withdrawal Agreement) Bill will be introduced to make the necessary legal changes in the UK. There will also be a vote in the European Parliament, which must support the Agreement for the EU to implement it. If the UK Parliament does not accept the Agreement, then the European Union (Withdrawal) Act 2018 requires that within 21 days the Government make a Parliamentary statement about the next steps, and by January 21 2019 either an agreement must be presented and agreed, or the Prime Minister must make a statement to the House of Commons. Within a fortnight a vote must be held to decide what to do next. Whatever happens, the UK will leave the EU at 11pm on 29 March 2019, unless the relevant section of the European Union (Withdrawal) Act is amended or repealed. In practice, only the Government could introduce such a change. So if no alternative route is found, the UK would leave without an agreement, with the consequences outlined above. A series of committee hearings in Westminster and the Assembly have shown that preparations by both governments for such a departure are far from complete. Coincidentally, on the same day that the ‘meaningful vote’ on Brexit is held in the House of Commons, Carwyn Jones, AM for Bridgend, will resign as First Minister of Wales after nine years in the role. His successor as leader of Welsh Labour, following a vote of the Labour Party members in Wales, will be announced on December 6. A vote will be held in the Assembly on December 12 to confirm whether that person will also become the next First Minister of Wales. Carwyn has enjoyed an excellent relationship with Welsh faith communities, and been an active chair of the Faith Communities Forum, as well as attending a number of religious events around Wales. There will be an opportunity to thank him for his significant contribution to Welsh life in the Senedd in Cardiff on December 11. Are you considering buying a new Christmas tree this year? The first choice is whether to buy an artificial tree or a real one. Some suggest that an artificial tree is greener, as it can be used again and again, however, they have huge carbon footprints, as they are rarely recyclable, tend to be made out of PVC, polyurethane foam and steel (usually in China) and will probably end up in a landfill for centuries to come. The far better option is to buy a tree grown in Britain, from a supplier that sells trees with their roots intact. This way you can put the tree outside and reuse it next year. If this is not a suitable option for you, it is still better to buy a British-grown tree, and recycle it once the seasonal festivities are over. 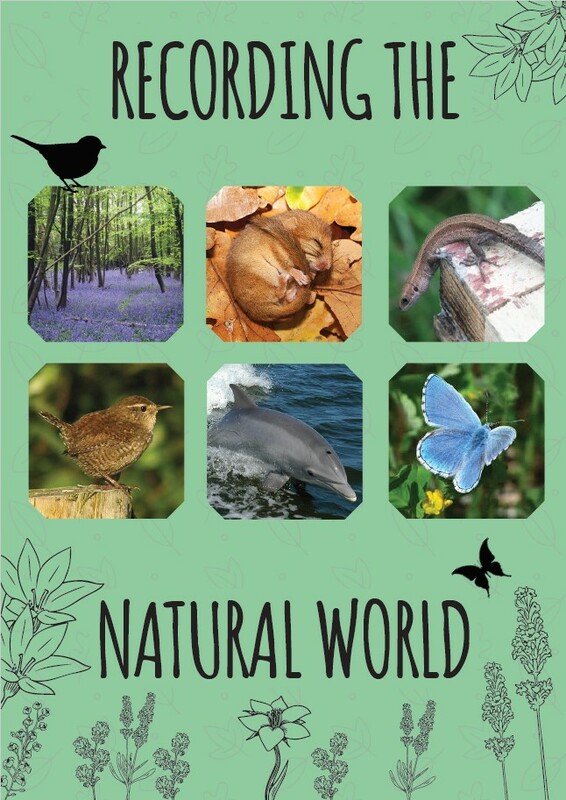 Invest in Nature Cymru has published a new resource, the ‘Recording the Natural World’ Toolkit – available on the WCVA website, here – https://www.wcva.org.uk/what-we-do/invest-in-nature-cymru/ms4n/recording-the-natural-world This toolkit is designed to help people into wildlife surveying who might not have thought about it before and promotes the exciting opportunities available from local and national organisations. Carers Allowance is the lowest benefit of its kind at £64.60 per week. It is the main benefit for people caring unpaid for family or friends. Carers UK want to see Carer’s Allowance significantly increased for all carers in the UK. In Scotland, Carer’s Allowance is going up by £8.50 per week, to the same level as Jobseeker’s Allowance. In the short term Carers UK want Carer’s Allowance in England, Wales and Northern Ireland to be raised by at least £8.50, to match the changes being made in Scotland. Carers UK is sending a letter on behalf of the 6.5 million carers in the UK to Secretary of State, Amber Rudd, calling for this. You can add your signature to this petition, Fairer for Carers, by following the link. You do not have to be a carer to do this. Publication date: 3 December 2018. The next Bulletin will be published on 1 February 2019.